Living in Australia it was inevitable that one day we would decide to take the Triplets on a road trip. Here are my top 5 tips to enjoying a Trouble-free Triple-Toddler Road-Trip. 1: Plan to take a lot of breaks. Just like everything else related to multiples, it pays to plan ahead. Look for attractions, parks, and play areas along your route. Try to find somewhere fun to stop every couple of hours, the aim is to let them burn off plenty of energy before they need to hop back in the car again. Even with several planned breaks there will no doubt be a few extra urgent toilet stops, so allow plenty of time to get where you are going. The great thing about driving is that -for us anyway- if the kids are tired the motion pretty much always sends them off to sleep. With this in mind we try to set off really early, moving the kids straight from bed in their PJ’s to the car. We can then get a few hours drive out of the way before stopping for breakfast and getting everyone dressed. I know that not everyone agrees with giving IPad’s to toddlers, but for a road trip I can’t think of a more versatile form of entertainment. You can load it up with educational games, they can look at photos of the people and places that you are going to visit, They can use the camera to take their own photo’s of the trip (mostly selfies at the moment), they can watch movies or sing along to music, and best of all they don’t make a mess. You can just pick them up at the end of your drive and slip them into your bag ready for when you need them next. Another issue that always comes up when travelling with more than 2 children is finding accommodation that allows everyone to stay together. I was amazed to find out how limited our options are now because we don’t fit within the standard 2 adults & 2 children family. With this in mind we prefer to pre-book our accommodation en-route so that we don’t end up driving around looking for somewhere that can fit us in. On our most recent road trip we booked a cabin at a Big4 caravan Park (you can read the review here), this meant that we knew that there would be a kids pool for everyone to cool off in as soon as we checked in. 5: Spot the Pink car. The most important thing to remember is to try to enjoy the journey. If you try to fit to a tight schedule you are only going to get stressed out and if Mum and Dad are stressed you can be sure that the little munchkins will be cranky too. Have you recently taken your Toddlers on a road-trip? Are you Planning a Road-trip right now? We’d love for you to leave your Comments at the end of this post! Intresting and informative..Your child’s safety is the most important aspect of any road trip. Make sure your child’s car seat is installed according to the manufacturer’s instructions. Many businesses, including hospitals and health clinics, will install your child’s car seat for free or for a nominal fee. 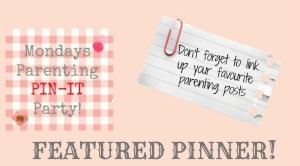 Great tips, loving that Pink car in particular! 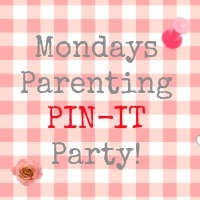 Thanks so much for linking up to the 100th parenting pin it party.